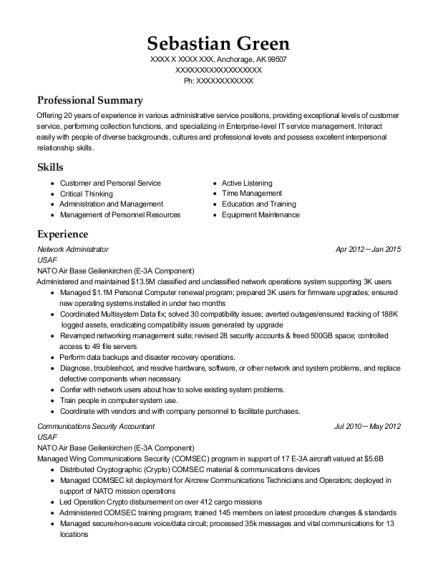 Offering 20 years of experience in various administrative service positions, providing exceptional levels of customer service, performing collection functions, and specializing in Enterprise-level IT service management. Interact easily with people of diverse backgrounds, cultures and professional levels and possess excellent interpersonal relationship skills. Discovered/eliminated expansive spyware infection -- speedy response eradicated threat of data compromise. Volunteer representative for Base Advisory Council; ensured voices throughout base community heard regarding living and working changes or upgrades. Supported Airman's Attic throughout career via donations, sorting and display of donated materials. Volunteer for multiple displays supporting Base Open House Events. 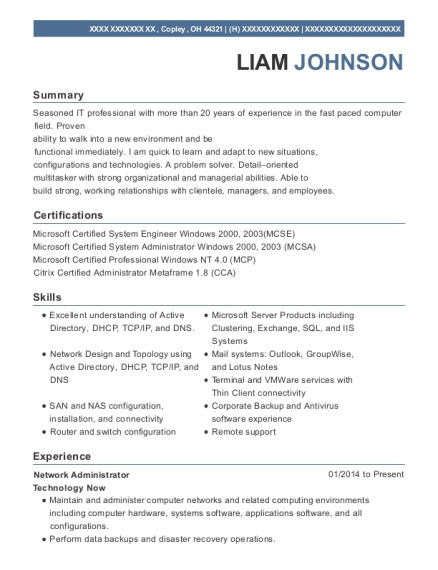 This is a resume for a Network Administrator in Anchorage, Alaska with experience working for such companies as USAF and USAF. 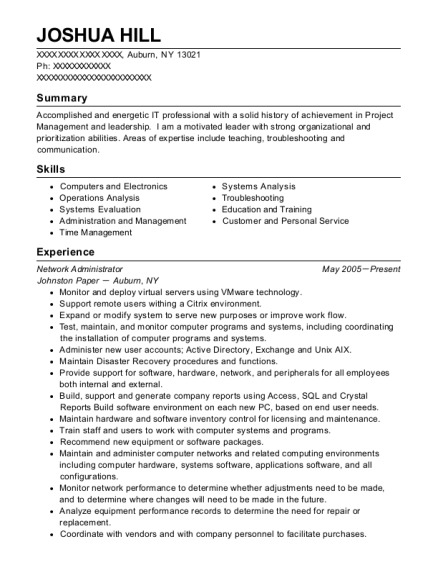 The grade for this resume is 0 and is one of hundreds of Network Administrator resumes available on our site for free. 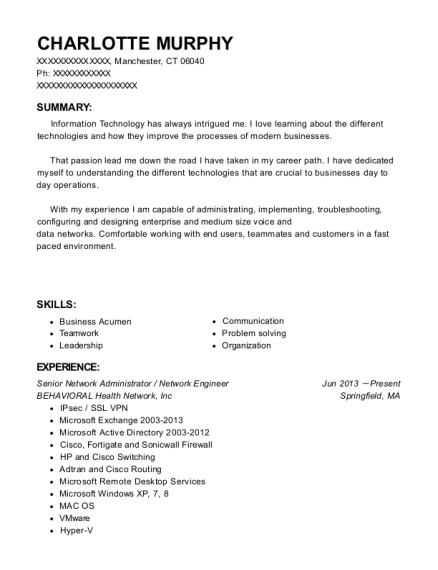 Use these resumes as templates to get help creating the best Network Administrator resume.